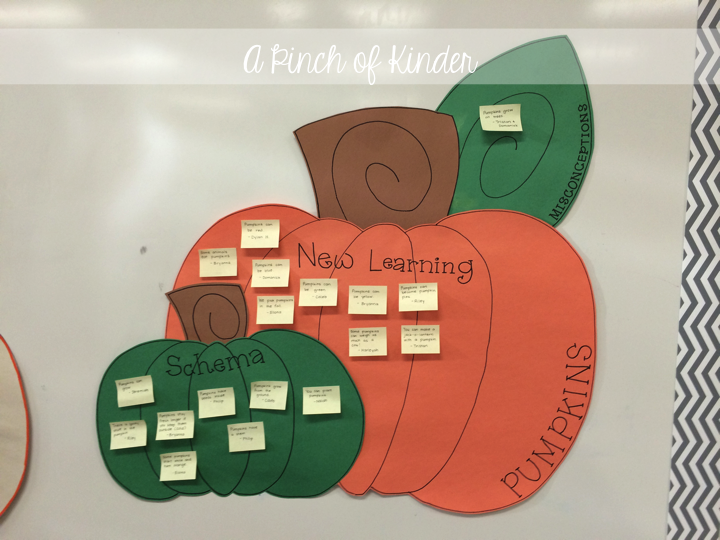 For the last two weeks we have been knee deep in everything pumpkin! 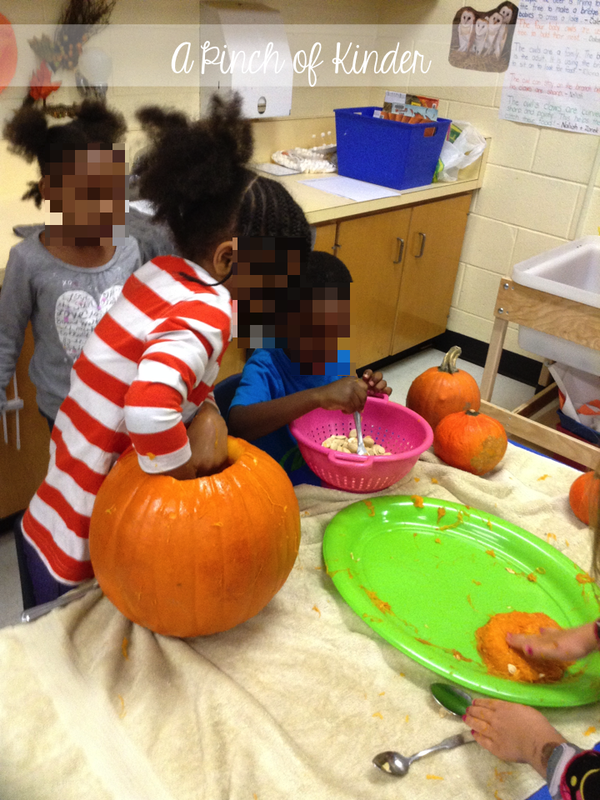 First we showed them the pumpkins we brought in and recorded our schema. I copied this pumpkin chart from The First Grade Parade. to look at during centre time. 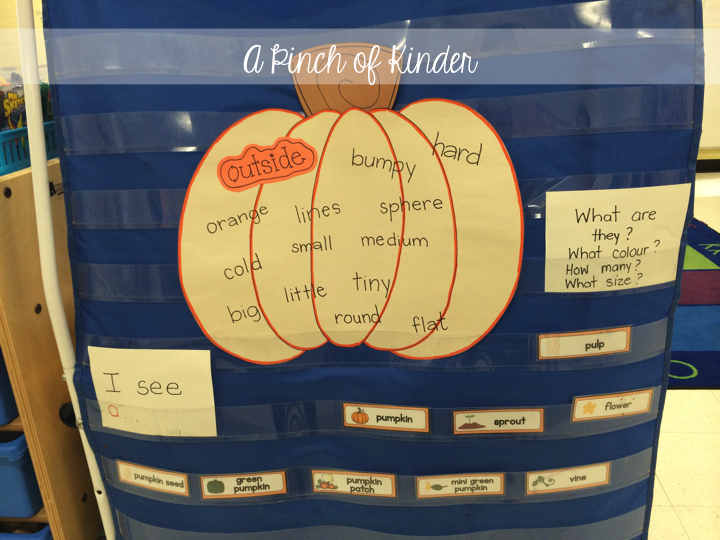 We brainstormed adjectives for the outside of the pumpkin and recorded those on the pumpkin below. 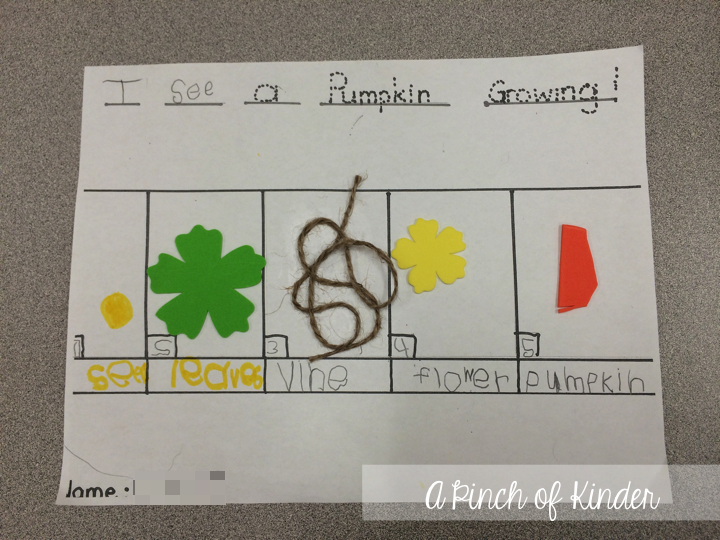 This is a pumpkin song my ECE brought in. 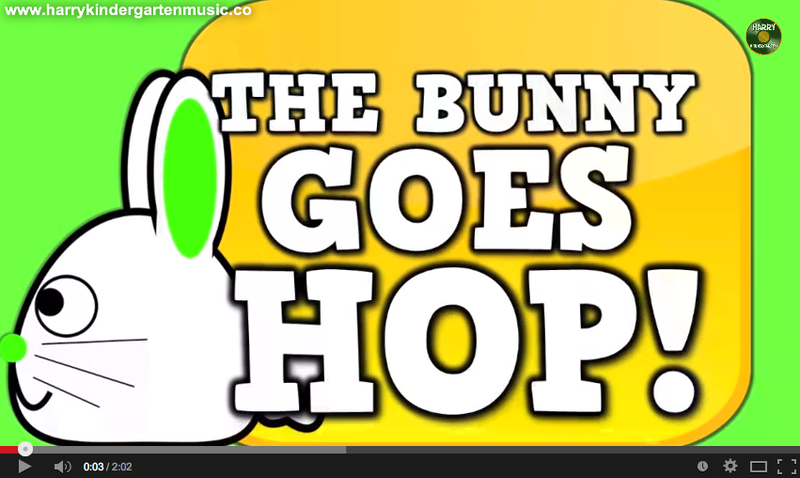 The kids were instructed to put the sentences in order and match the pictures to the correct part of the song. 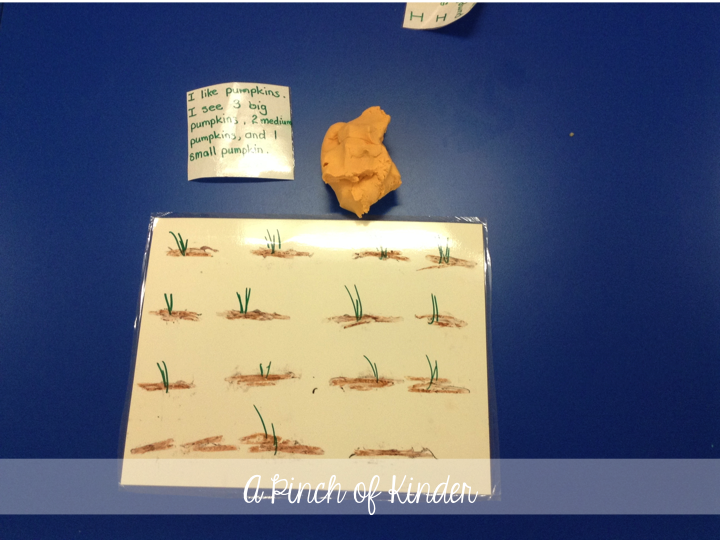 We also worked on the life cycle of a pumpkin! 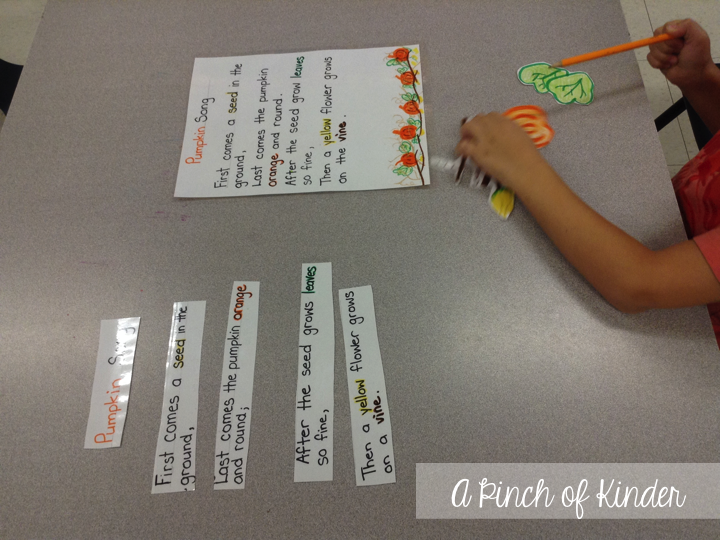 They used markers, foam shapes and twine to recreate the pumpkin life cycle. 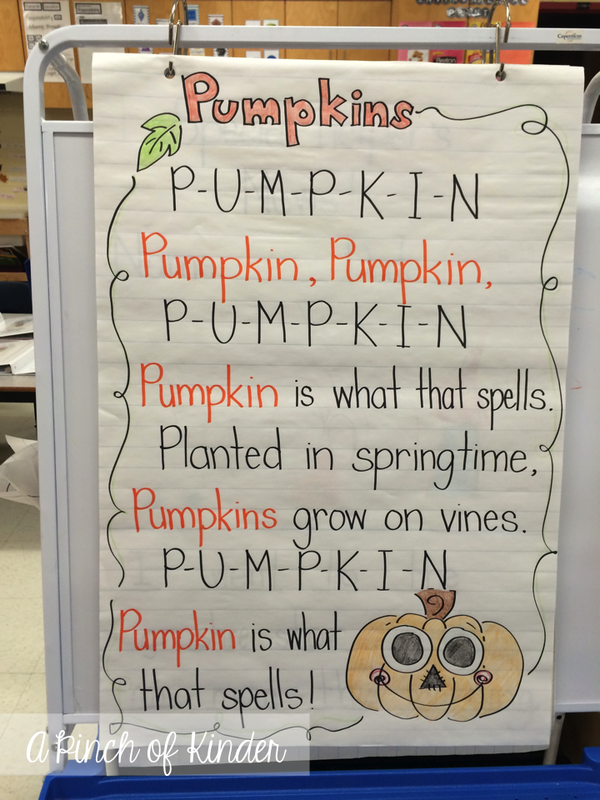 We also learned and sang this pumpkin song to the tune of Camp Town Races. 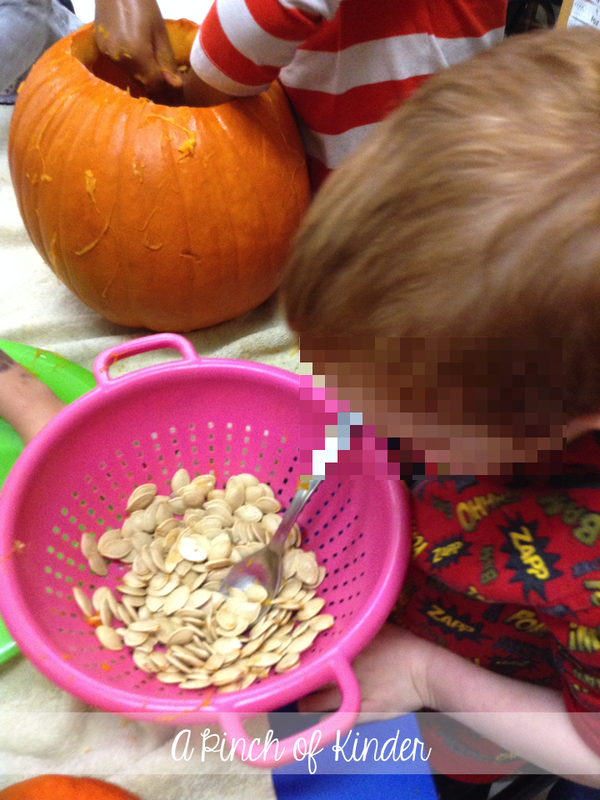 The kids really enjoyed opening up and taking out the pumpkin seeds! 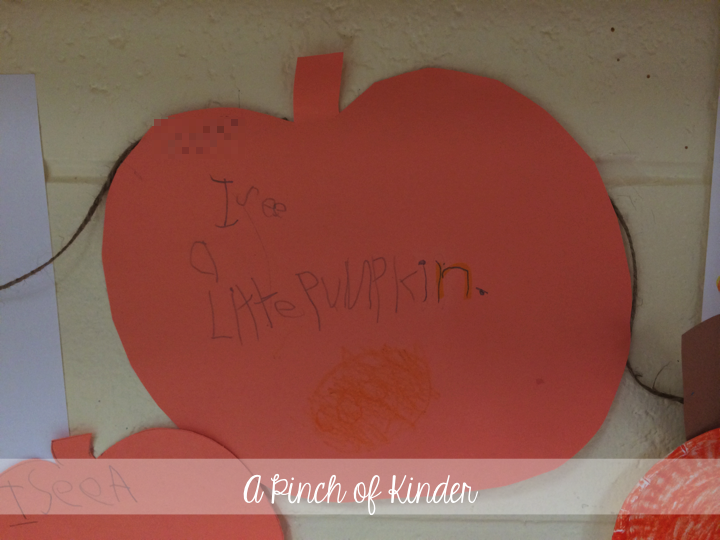 At this centre they stamped pumpkin words onto the pumpkin cut outs. "I like pumpkins. 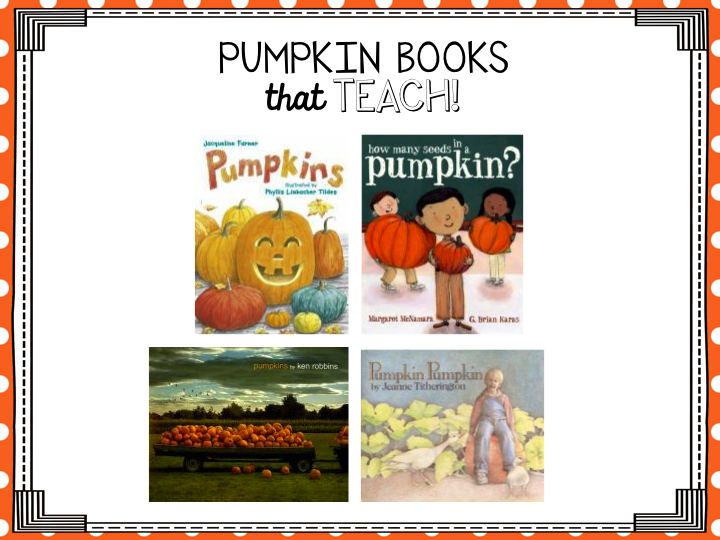 I see 3 big pumpkins, 2 medium pumpkins, and 1 small pumpkin." We are also doing some pumpkin baking later this week! 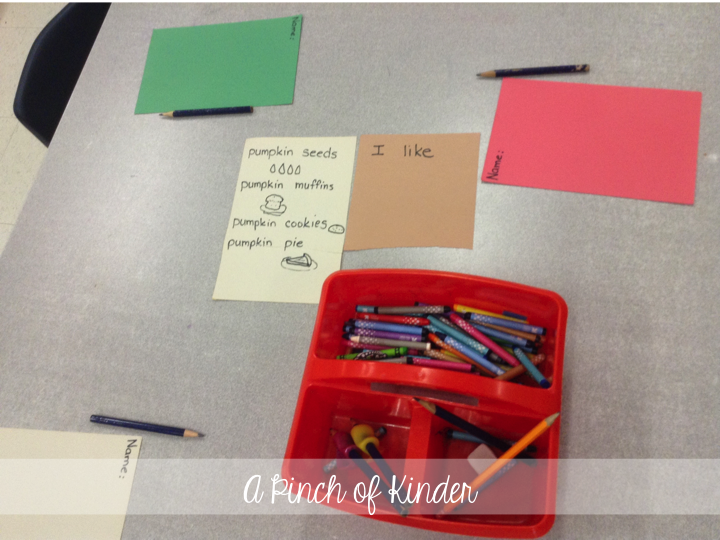 The kids were instructed to pick their favourite pumpkin treat and write a sentence as a way to cast a vote on which pumpkin treat we should make as a class. It also ties in with our sight word of the week, "like"! 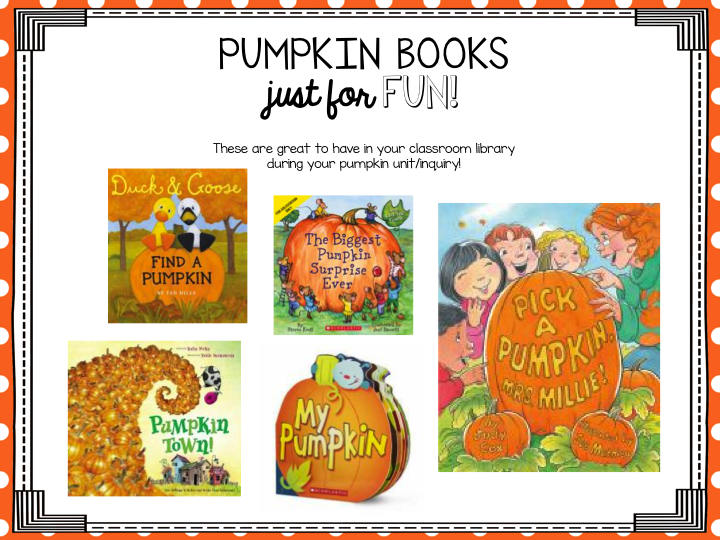 What are you favourite pumpkin activities? 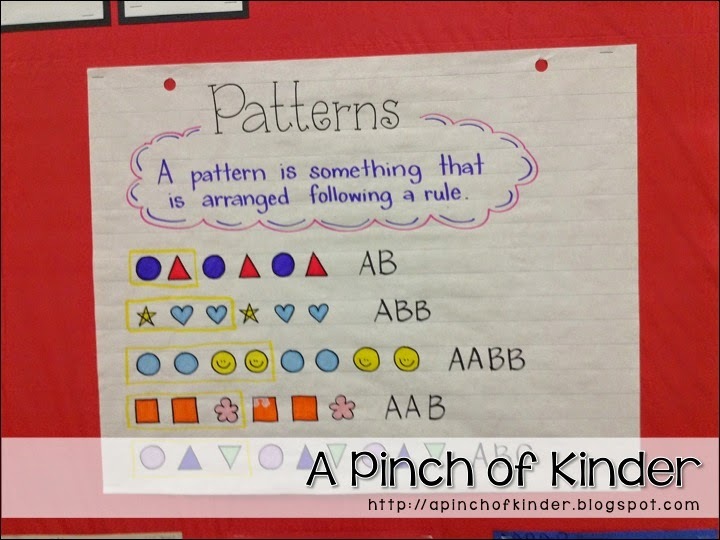 This week was all about patterning! P4.1 identify, create, reproduce and extend repeating patterns through investigation, using a variety of materials and actions. 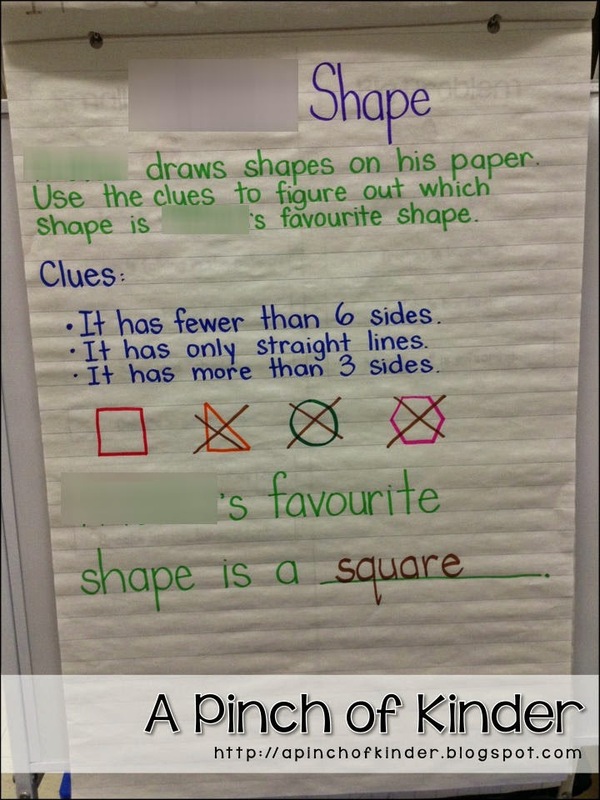 First I introduced them to our patterning anchor chart that we would be referencing all week. 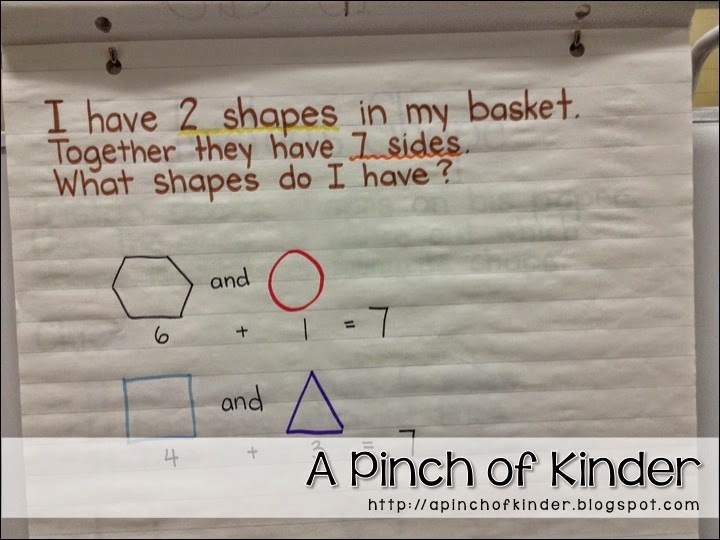 Before I introduced the anchor chart I didn't have the core circled or the name of the pattern. Then we posted it up on our math wall. I copied this anchor chart from The First Grade Parade. On the second day we played "What's Missing?" I prepared a chart with pieces missing and the students tell me the missing piece, come up and stick it on the right spot, circle the core and name the pattern. 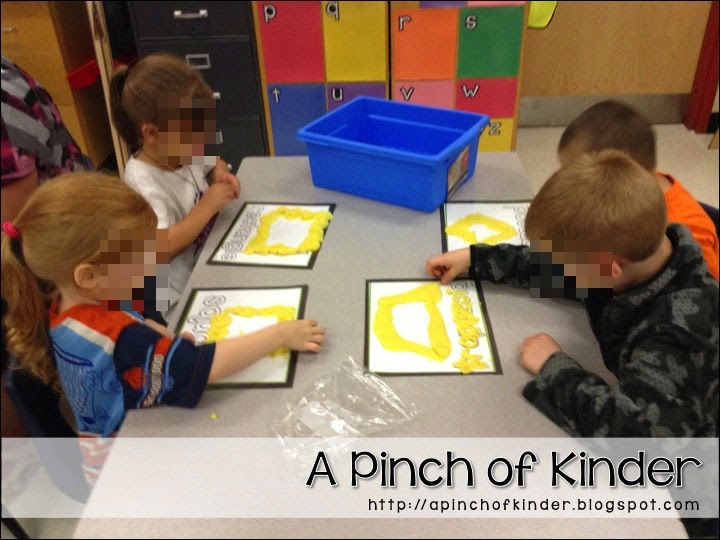 I got this lesson idea from Mrs. Ricca's Kindergarten. But you can go to her blog to see an example there! On Day 3 & 4 we played the game "Guess My Pattern". I made a pattern with shapes and covered each shape with a post-it note. and tell their partner what the pattern might be. but you can download the detailed lesson outline for "Guess My Pattern" by clicking on the image below. This one is "Pencil Perfect Patterns" from "The Bus Stops Here" by Cara Carroll. 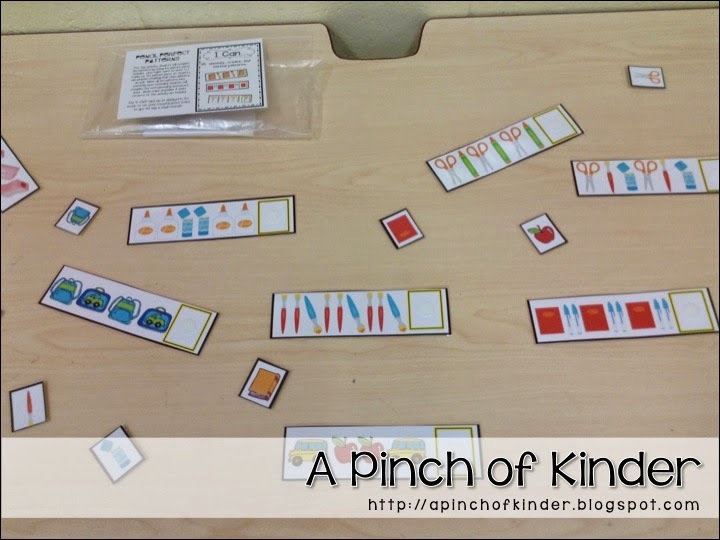 The kids had to extend the patterns and put the correct card in the last box of each pattern. We also did patterning with buttons. 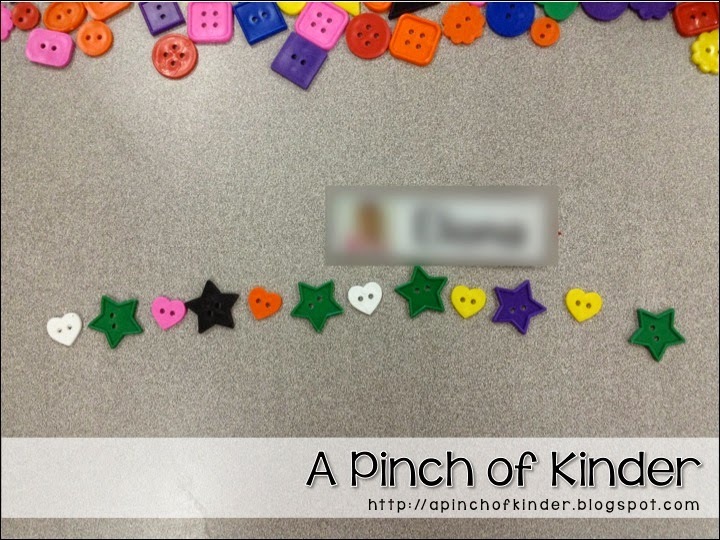 This girl made a AB pattern with hearts and stars! At this centre the students used the clothes pins and ice cube trays to make patterns. This little boy came up to me and said "Come look Miss Naka I made an ABCDEF pattern!" Some of these kiddos just blow me away! And some used bingo dabbers! The bingo dabbers were a HUGE hit!! You can download the pattern book for free here. 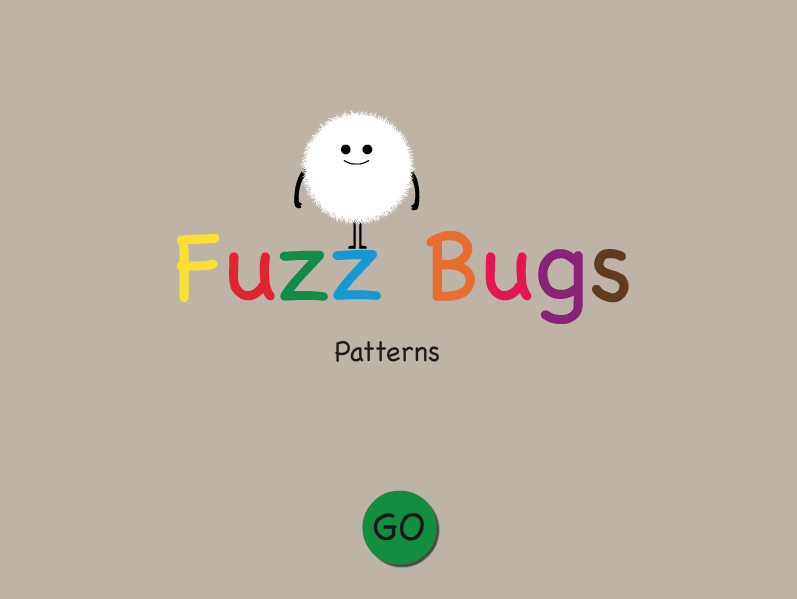 My kids LOVE Fuzz Bugs (the original sorting one) so they were so excited to see Fuzz Bugs Patterning! 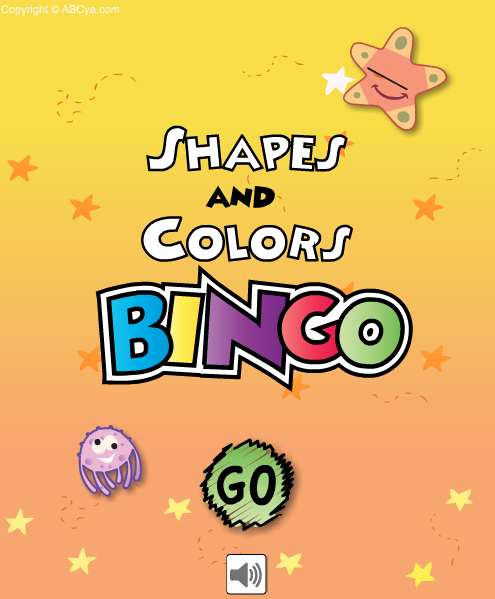 We played this on the SMARTBoard during centres. 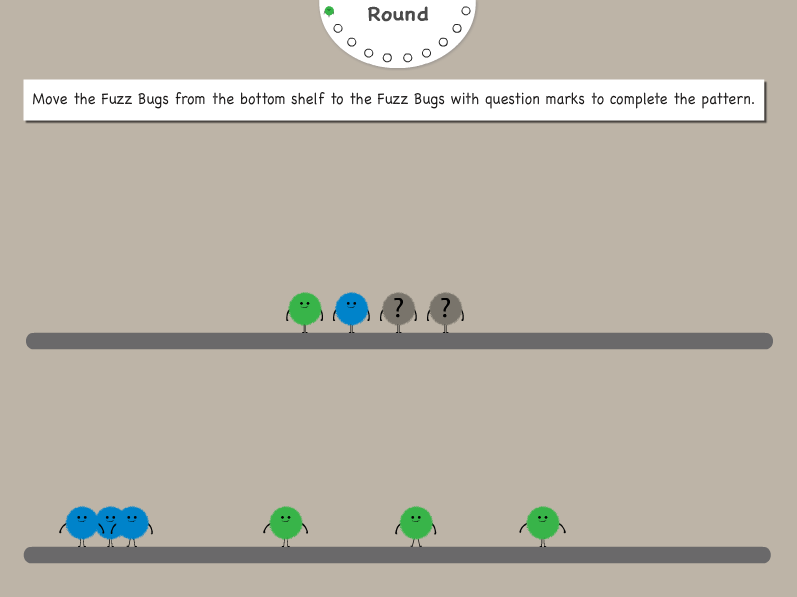 You can find Fuzz Bugs on abcya.com or click here. 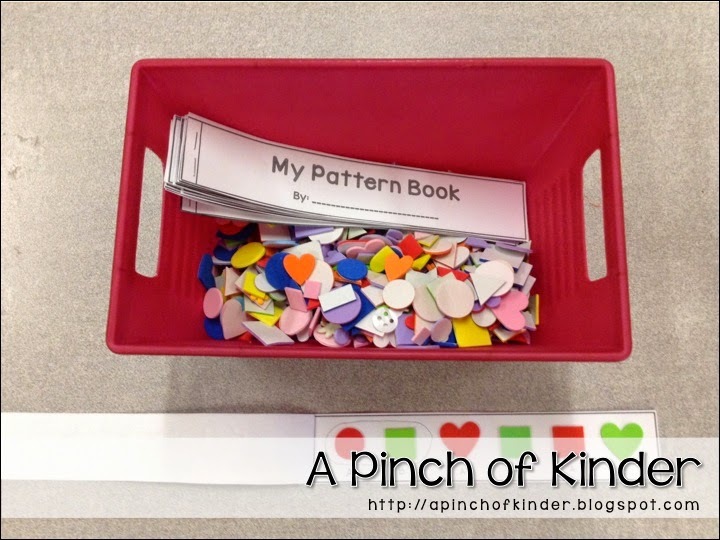 Do you have any original/fun ideas for patterning? I would love to know so that I could add it to my repretoire! 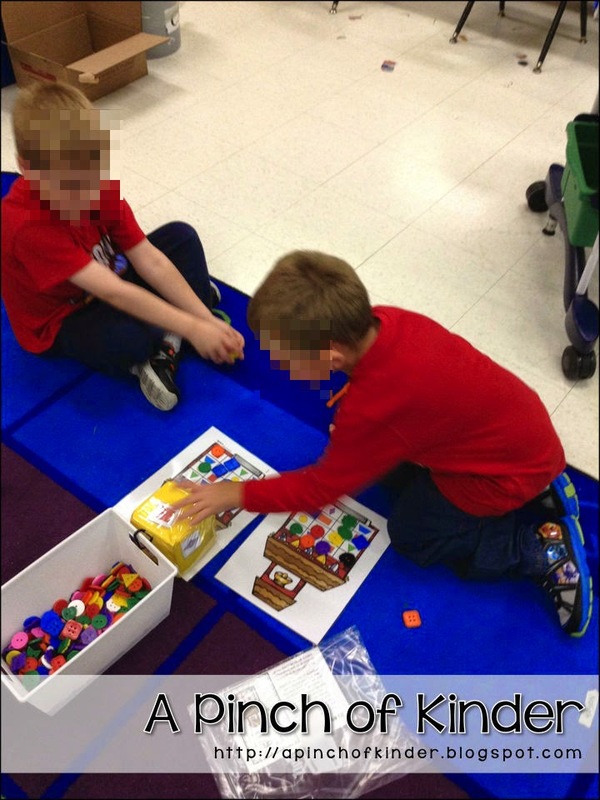 Inquiry is a huge focus in FDK and it aligns well with my view that we should learn the student's interests and differentiate instruction to engage the students using their interests. 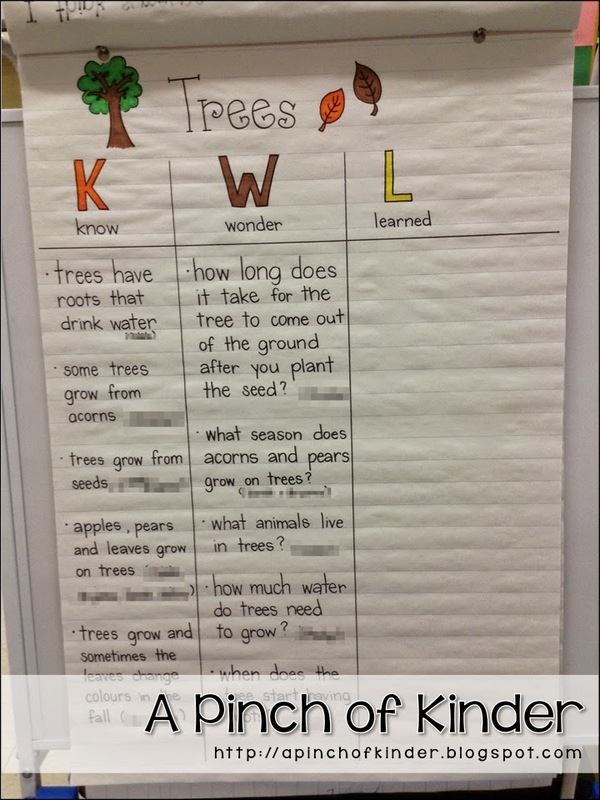 My teaching partner (ECE) is fantastic at picking up on these interests and she noticed that a lot of students were asking questions about a broken tree in our kindergarten pen. She also mentioned how some were inquiring about the leaves changing colour so we decided to tie that into our inquiry as well. 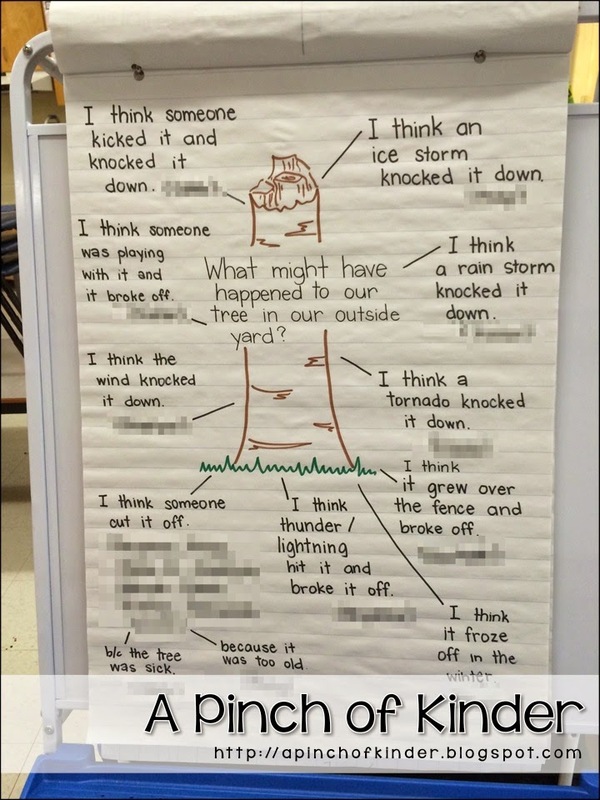 First, we started with brainstorming to the question "What might have happend to our tree outside?" and recorded their ideas. 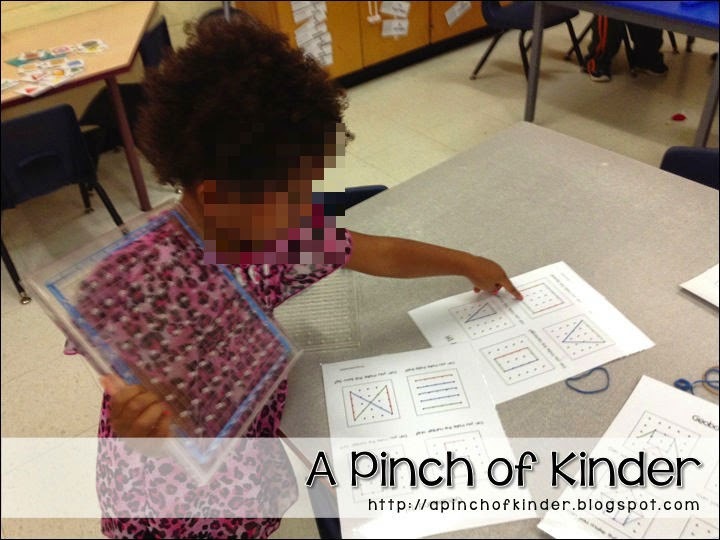 Then we did a K-W-L chart. 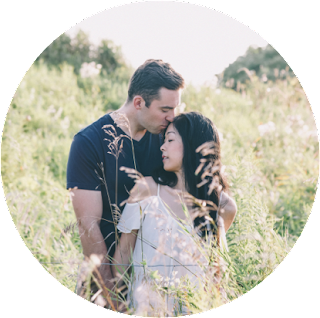 We compleated the "know" one day and the "wonder" on the next day. 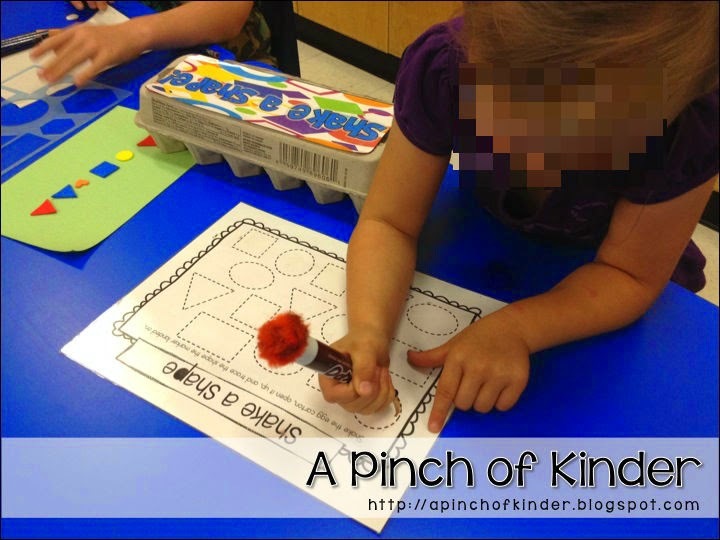 My teaching partner wrote the knows and wonders on a piece of paper as they shared and I transfered them onto our chart after school. I loved this idea! 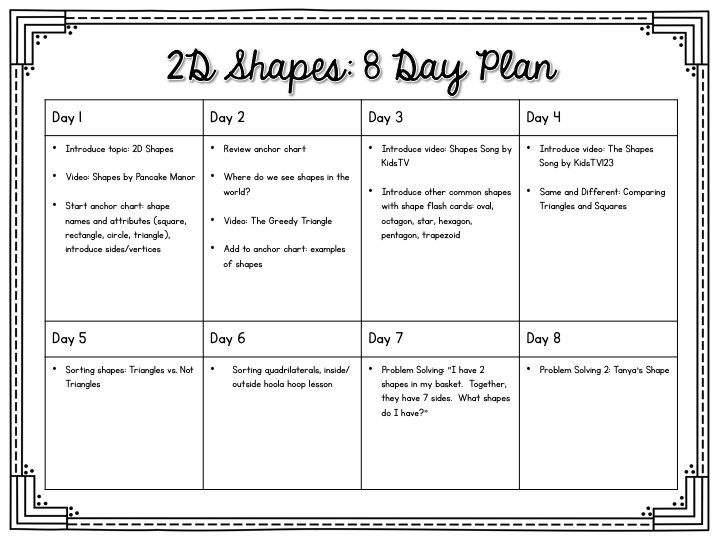 This way you could scribble quickly and write the ideas more legibally after school and you can look back and combine similar ideas to save on space! 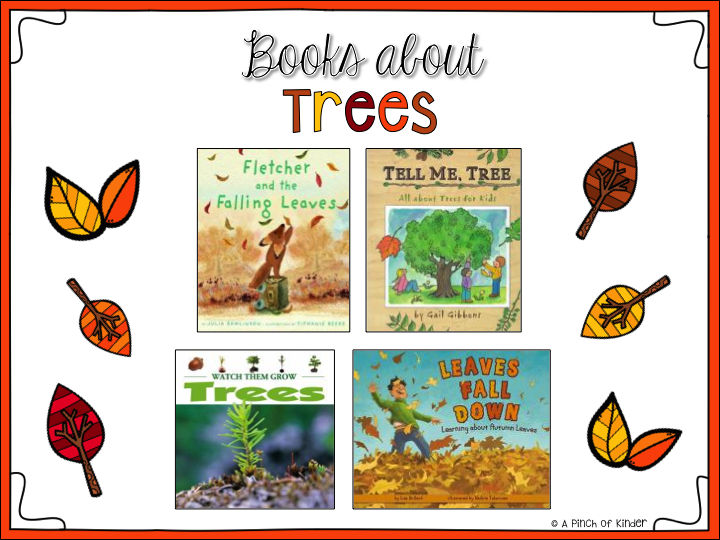 Then we read some books on trees. Here are the books we read. 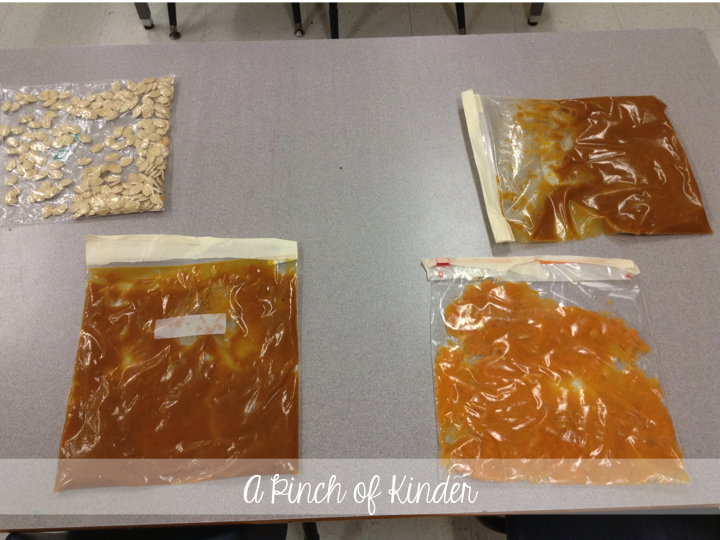 We also had these centres out that tied in with our inquiry. At this centre students were invited to look at the fall vegetables and tree bark from the tree in our Kindergarten pen and were encouraged to use describing words such as "bumpy", "rough", "smooth" etc. 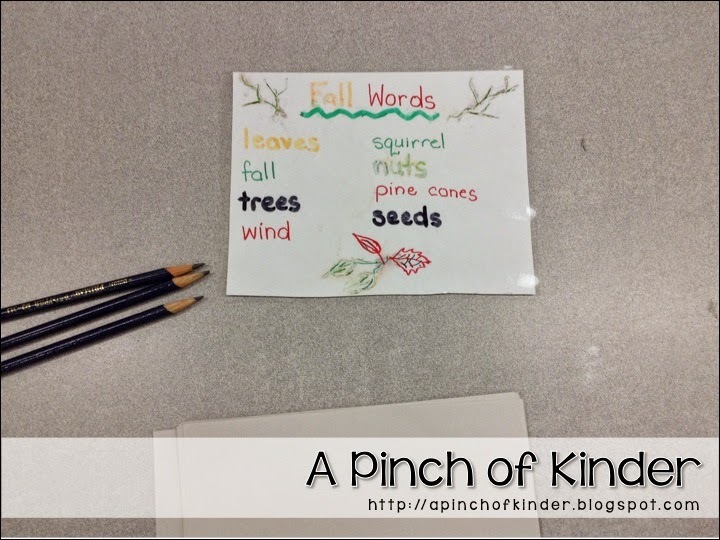 At this centre students were encouraged to write a fall picture and label it with the fall words. 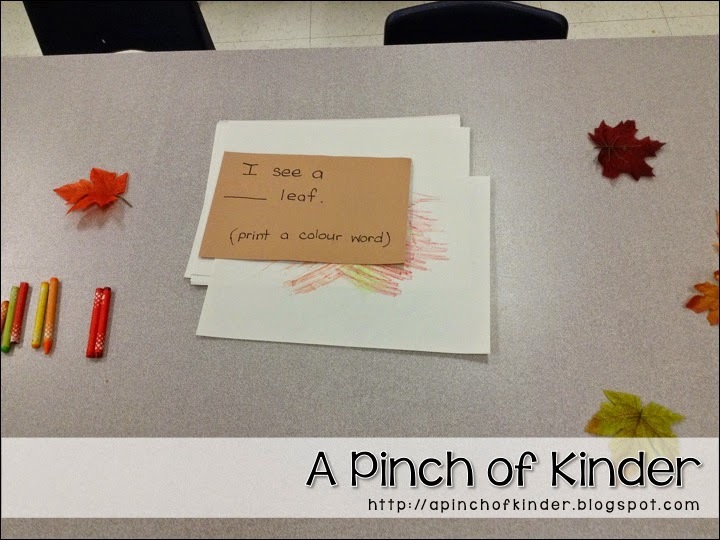 And at this centre the students used fake leaves and did "leaf rubbings" with crayons. Then they wrote a sentence to describe their picture. 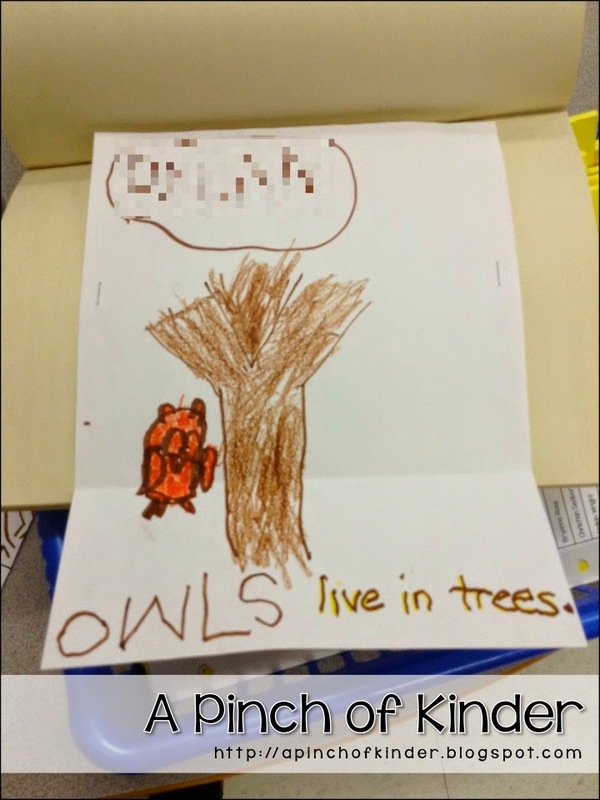 My ECE worked with some students on the question "What lives in trees?" one day. They turned out so cute! 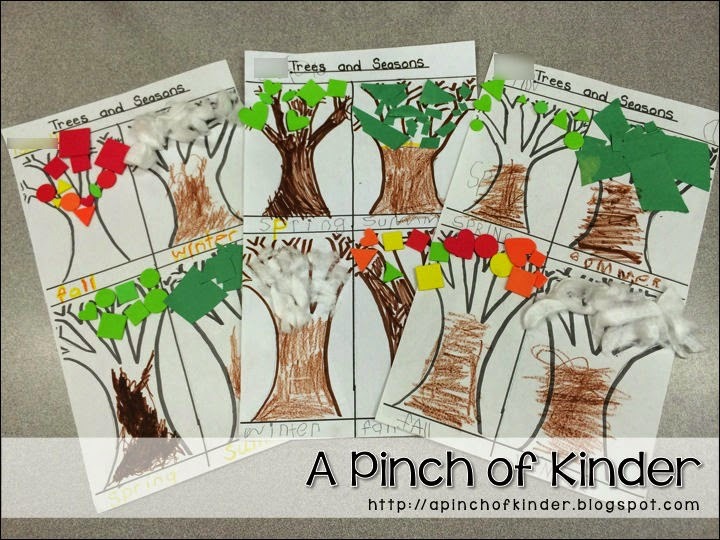 We also talked about and recreated trees in different seasons. 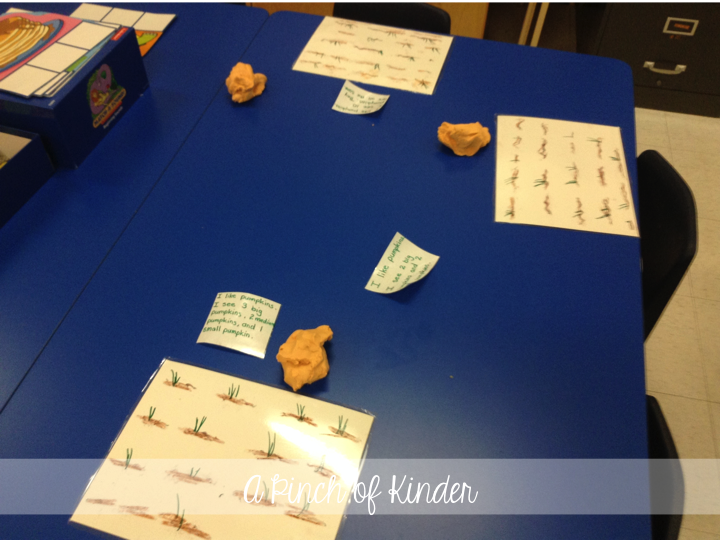 For spring they used small foam shape stickers to represent buds. For summer they used green tissue paper to represent the leaves. For fall they used red, yellow, orange and green foam shapes to represent the leaves. For winter they used torn up cotton balls to represent the snow! 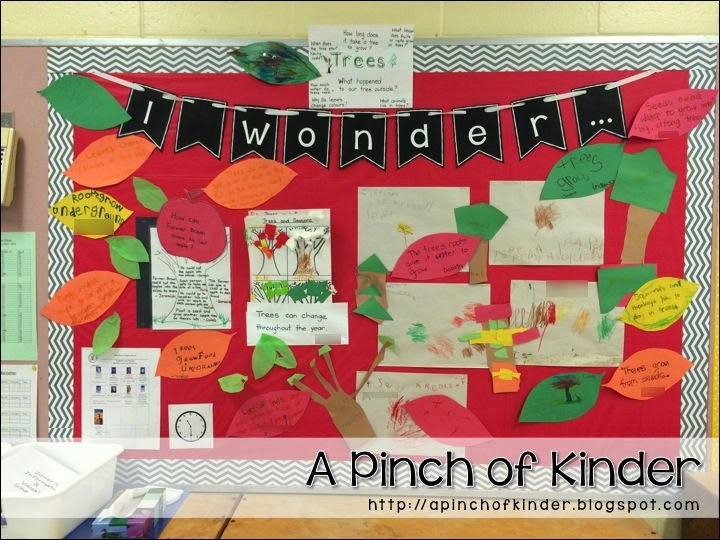 And here is our wonder board all filled up with all of the amazing work that we have been doing! Here it is again a couple days later.. it just keeps growing! 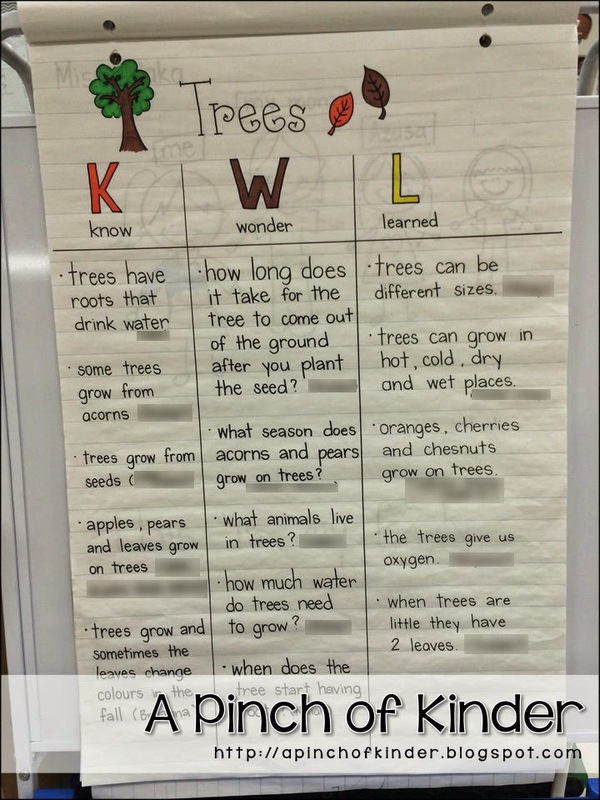 At the end we filled in what we now know about trees. I have a bunch of smarties! Look at what they came up with! These are just some of the activities we did. 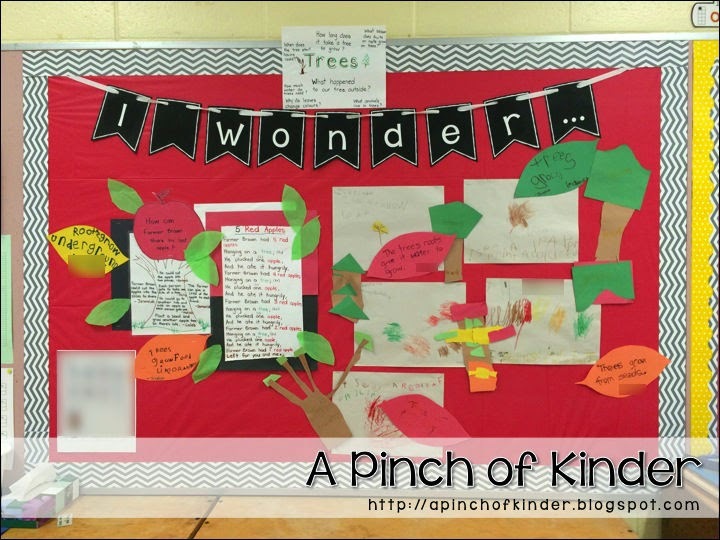 Have you ever done a tree inquiry before? Please let me know if you have any fun ideas that you recommend! 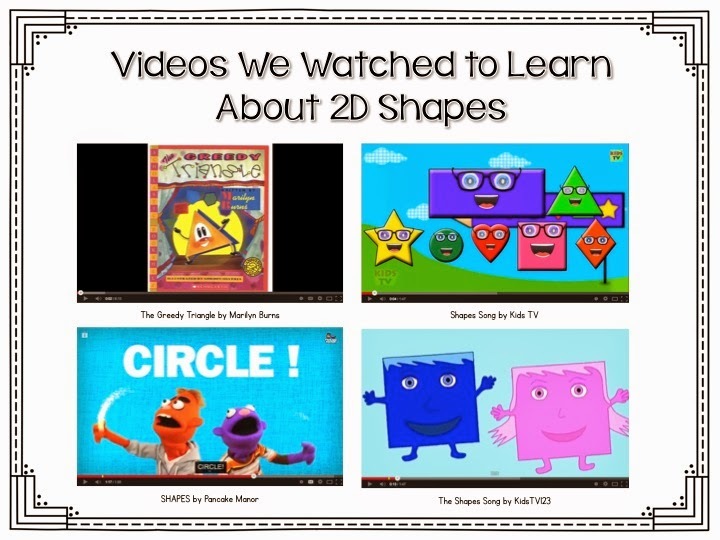 Week 3 and 4 was all about 2D shapes in math! 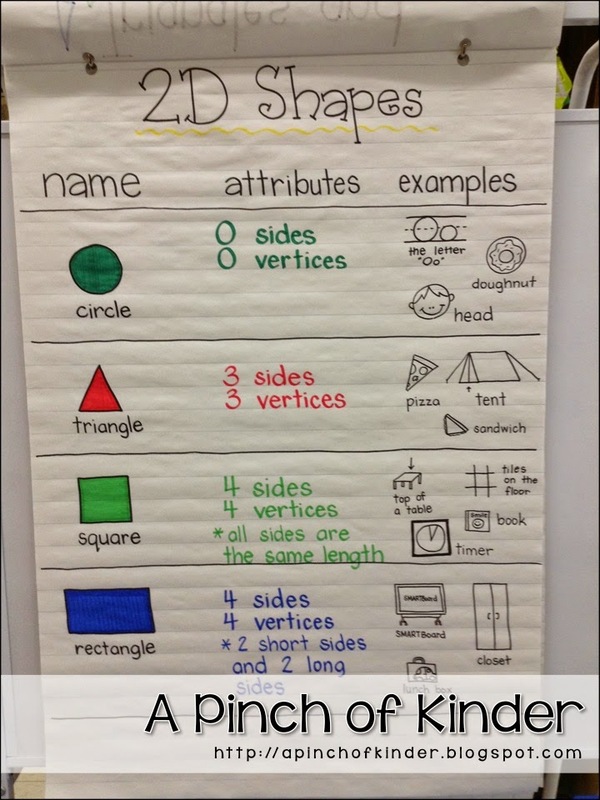 I like starting with 2D shapes because it is something that most of the kids already know and feel successful about. Here is the plan I made to keep me on track. Click on the picture to download a copy! 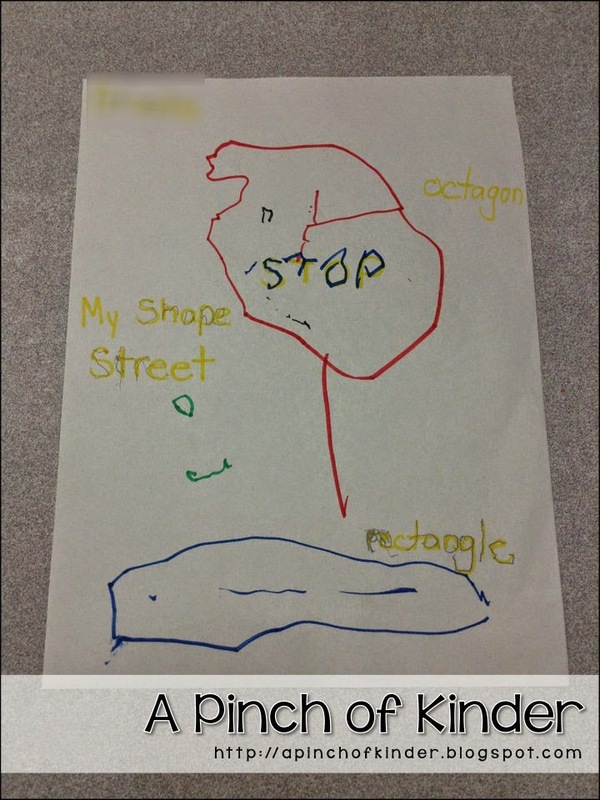 We started by introducing the vocabulary 2D shapes, circle, triangle, square, rectangle, sides and vertices. 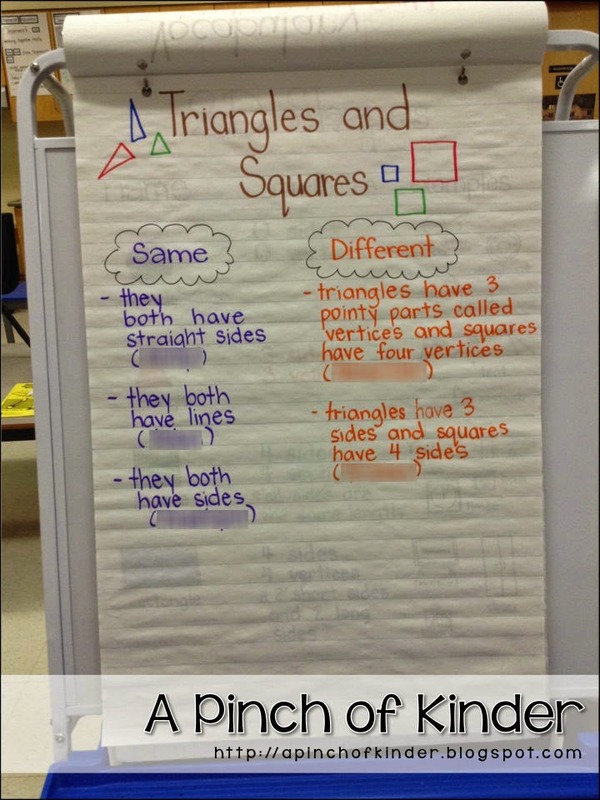 On the first day we did the first 2 columns of this anchor chart. 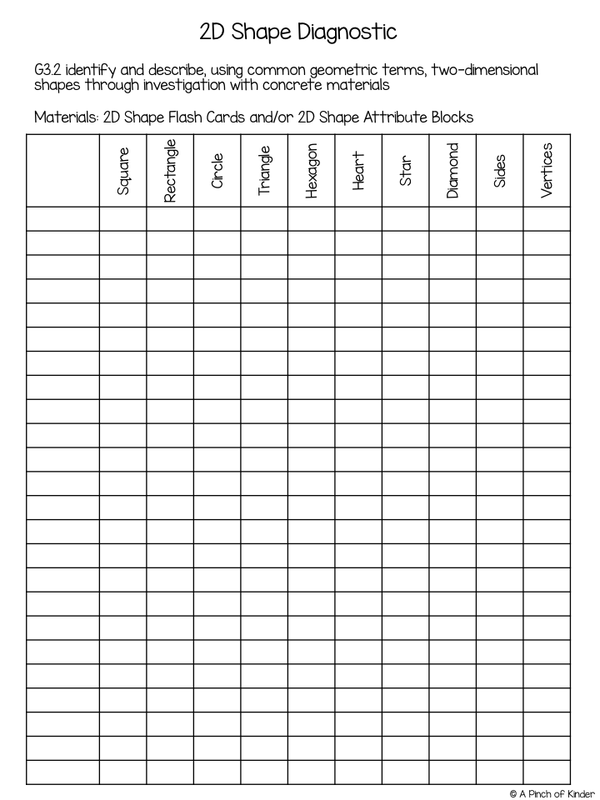 I made up and used this diagnostic checklist so that I knew how much the kids already knew about shapes. Click on either picture to download the freebie! On the second day we watched "The Very Greedy Triangle" by Marilyn Burns on YouTube. 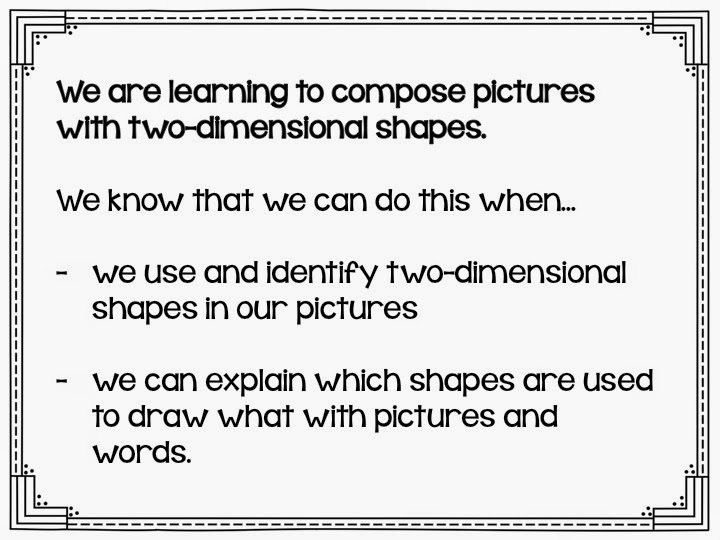 Then we talked about and recorded where we see shapes around us in the examples column. Here are all of the videos that we watched during our 8-day unit. 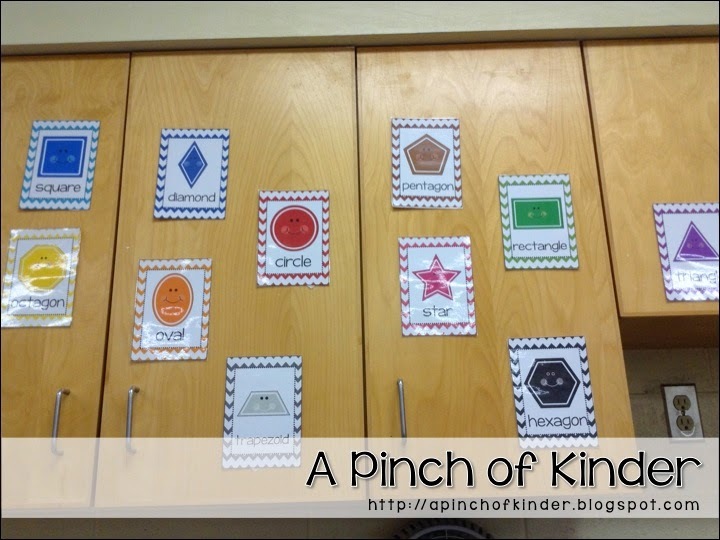 On the third day I introduced some more shapes with these mini shape posters by The First Grade Parade and then taped them on our cabinets so the students can use them as a resource. 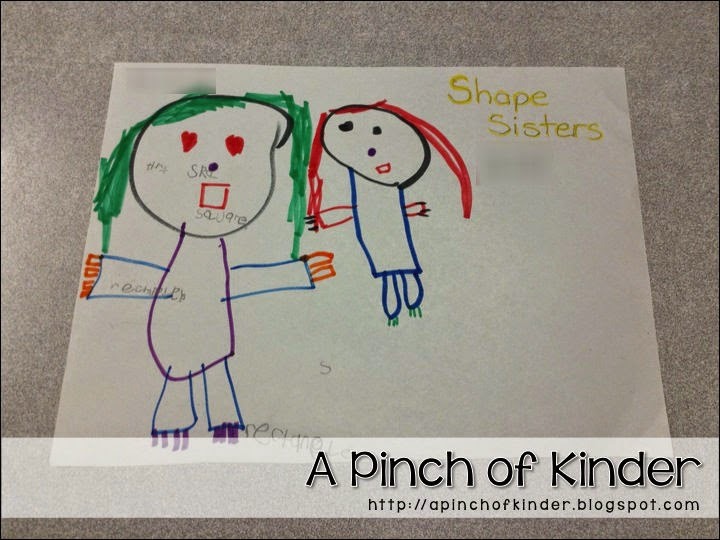 The kids used them as a reference to spell the names of the shapes all week long! Next we worked on comparing and sorting shapes. And then did some problem solving questions to challenge my high achievers. This one is Tanya's shape mentioned in Day 8. 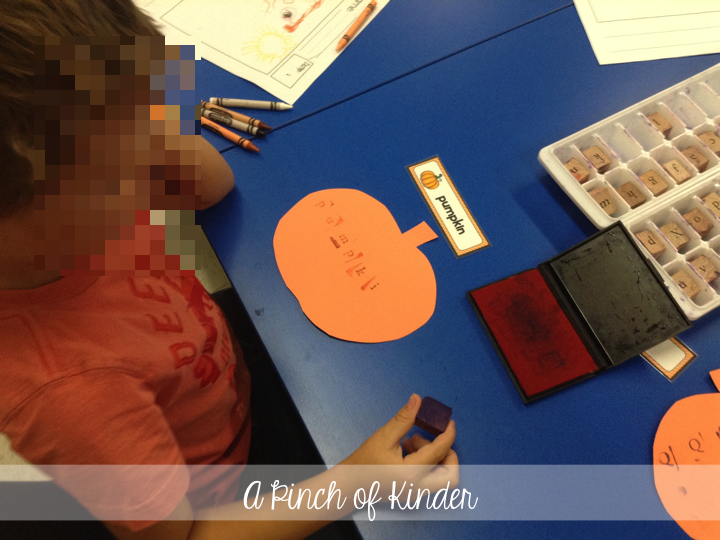 Use a name of a student in your class where it is blurred! This one was a tricky lesson but my high achievers liked the challenge! 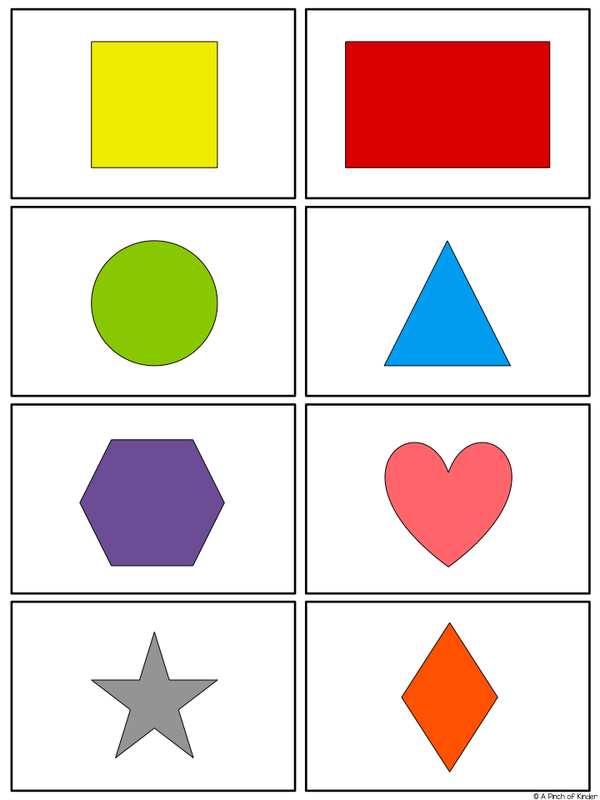 We didn't end up doing the sorting quadrilaterals lesson this year (mentioned in Day 6) but what you do is gather shapes that are half quadrilaterals (have a variety like rhombus, trapezoid, square etc.) and not quadrilateral. 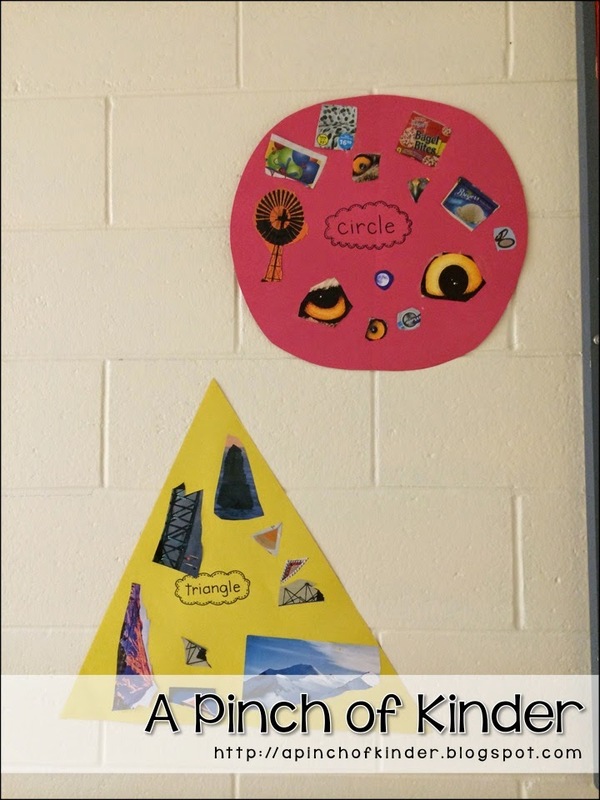 Get students to sit in a circle and pass out a shape to each student. Put the hoola hoop in the middle. 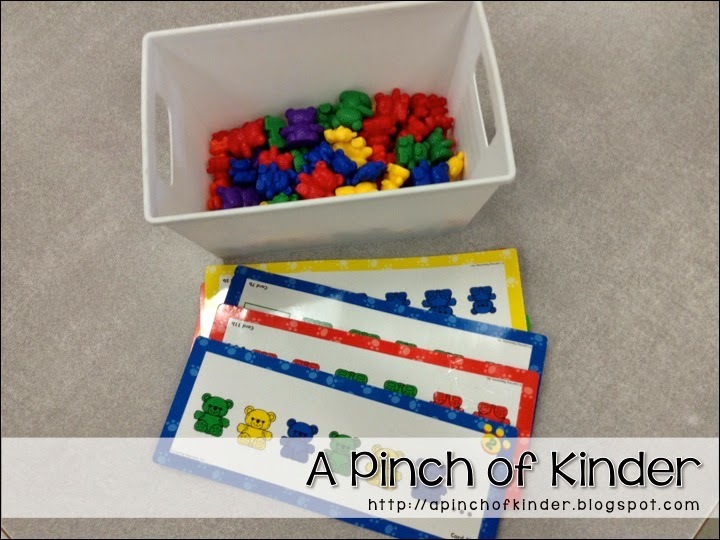 Tell students you are going to make up a sorting rule in your head and they need to guess the sorting rule at the end. Then ask students one by one to put their shape outside or inside the hoola hoop. The first few will just have to guess where their shape goes. 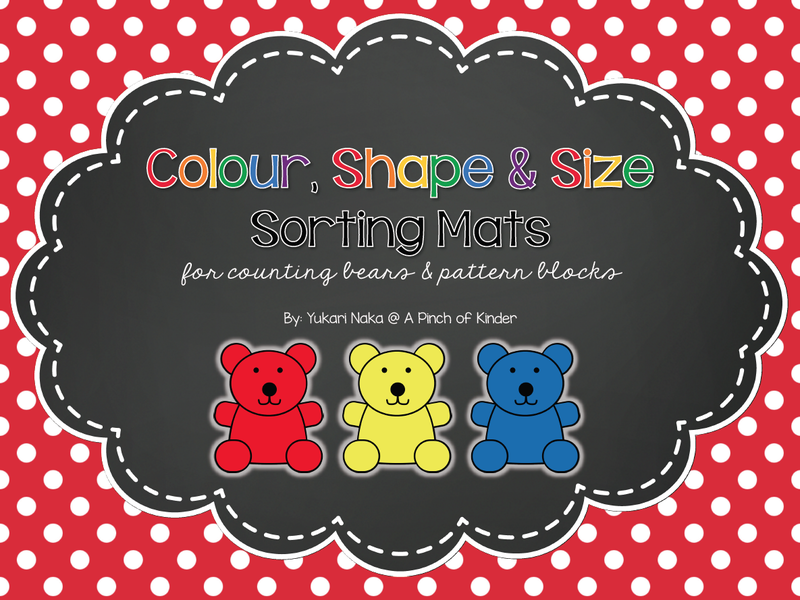 If they get it right I say "That matches my sorting rule, you can keep your shape there". If it doesn't I say "Sorry, that doesn't match my sorting rule, please move your shape inside/outside the hoola hoop". 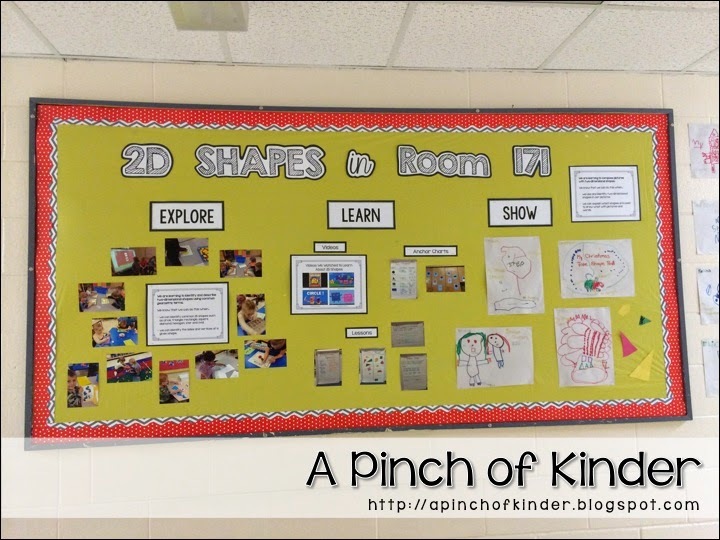 We displayed our learning on our bulletin board/wall in the hallway. And some close-ups of the "shape pictures" that I put up under "show". 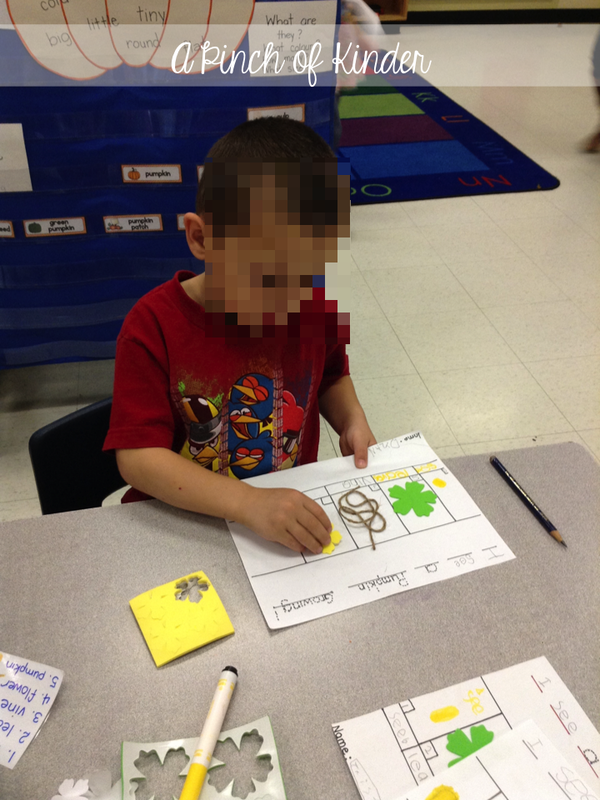 My ECE sat with the students and coached them on how to draw the shapes and label their pictures. 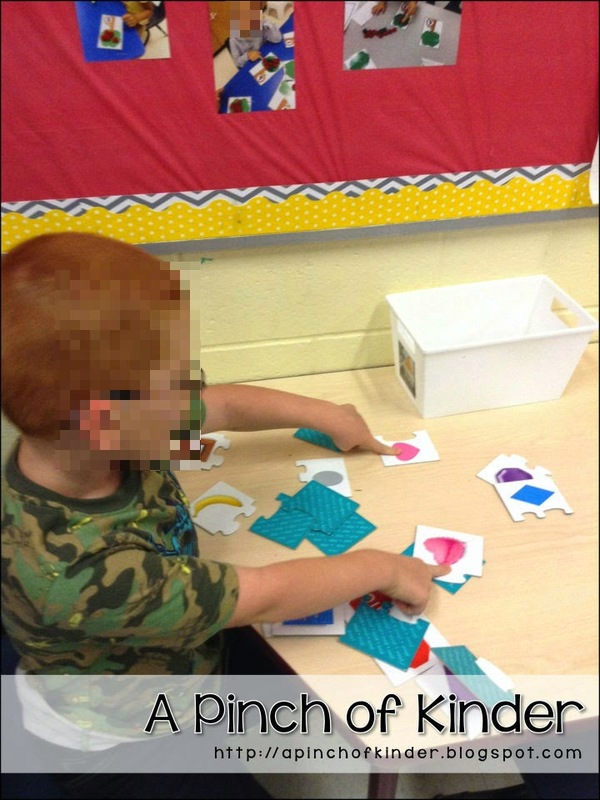 She had the shape manipulatives out so they could copy the shapes they wanted. They turned out so cute and I was surprised how well they could draw already! 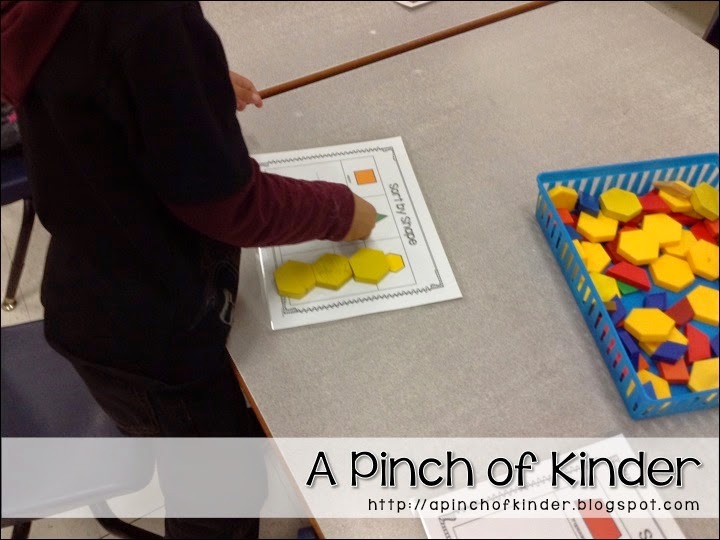 This activity was open during centre time. 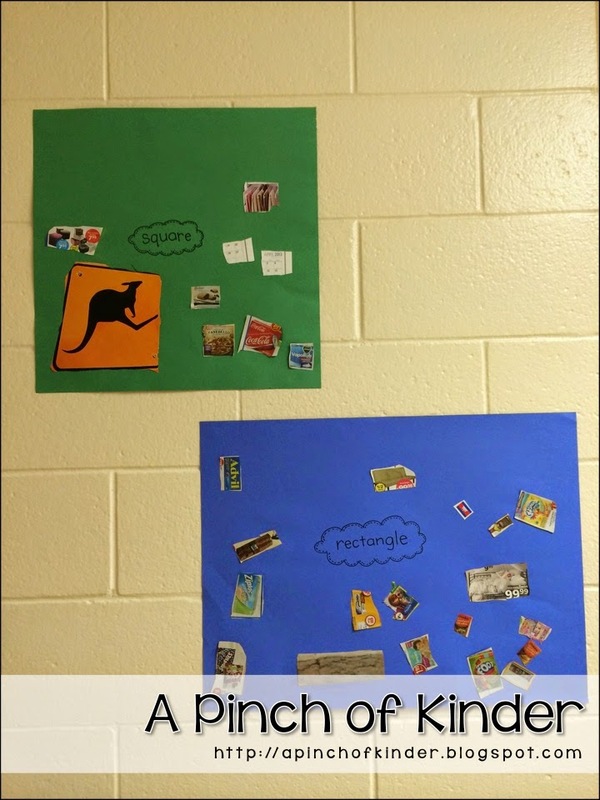 The students searched in calendars to find real life shapes, cut them out and glued them on to the corresponding giant shapes made from construction paper. You can find these mats here or by clicking on the picture below. The example pages are from "Geoboard It! A Fun Math and Geometry Station" by First Grade Blue Skies. At "Shake a Shape" there are shapes hot glued on to the inside of the egg carton. 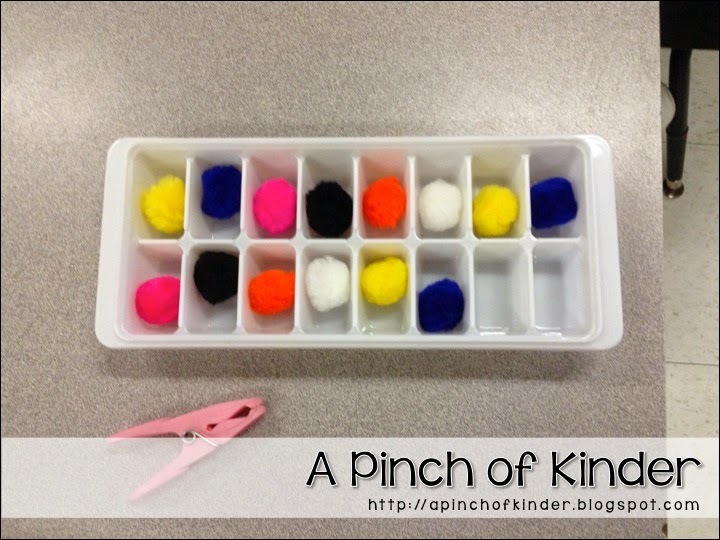 A pom pom is placed inside and the student shakes the carton, open it up and traces the shape the pom pom landed on. 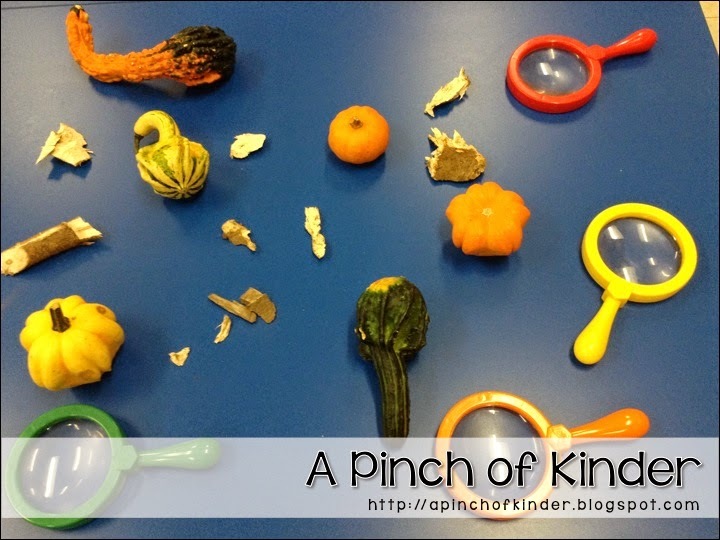 This activity can be found in "Backpack Boogie" by Growing Kinders. My kids LOVE playdough! These shape mats are a freebie from Miss Kindergarten. 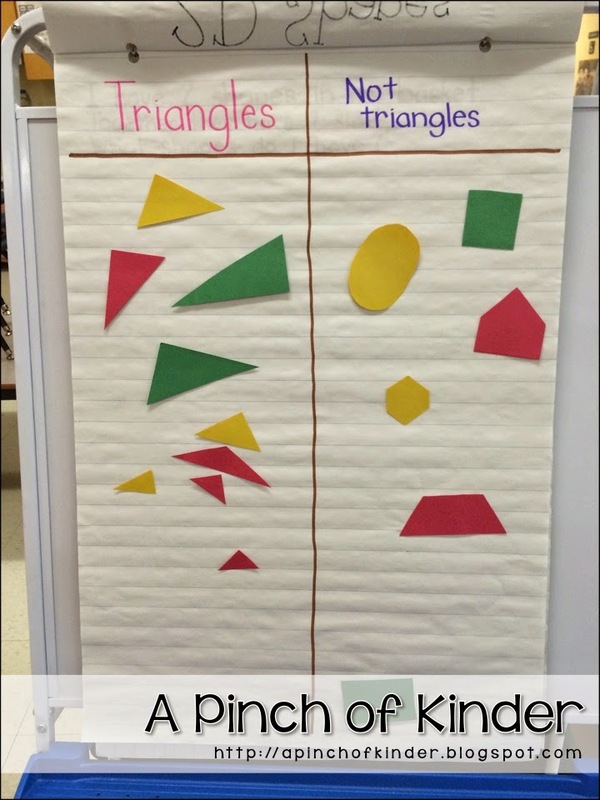 On a different day my ECE put out tangrams and asked them to find out how many tangram squares fit in a square, how many tangram triangles fit in the triangle etc. and I finally got some insertable dice so we played this game called "Schoolhouse Shapes" from "The Bus Stops Here" pack by The First Grade Parade. The students roll the dice and cover the shape they roll. The first person to cover their whole mat is the winner! 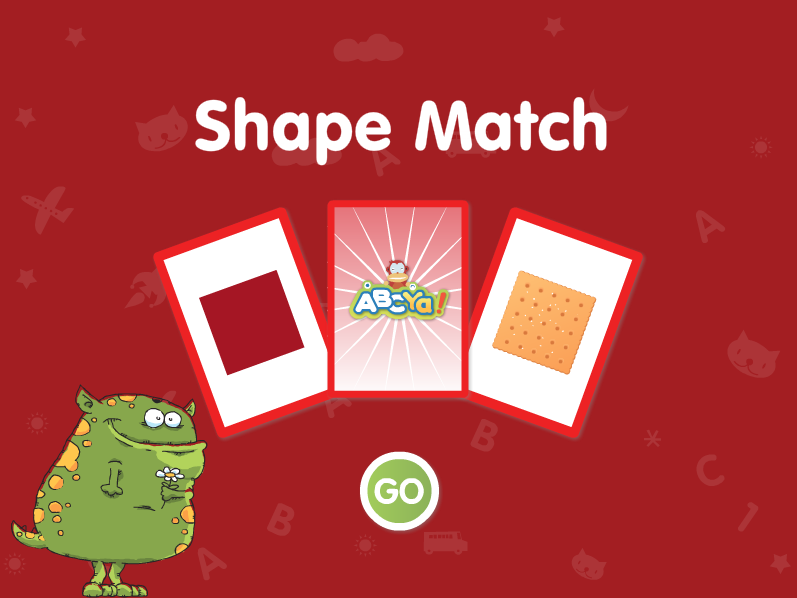 I also put these two games on the SMARTBoard for the kids to play. You can find them both at abcya.com. Click on K then scroll down to "more". I wish I could share all of the wonderful centres my ECE thought of and put out but I didn't get a chance to take pictures of everything. 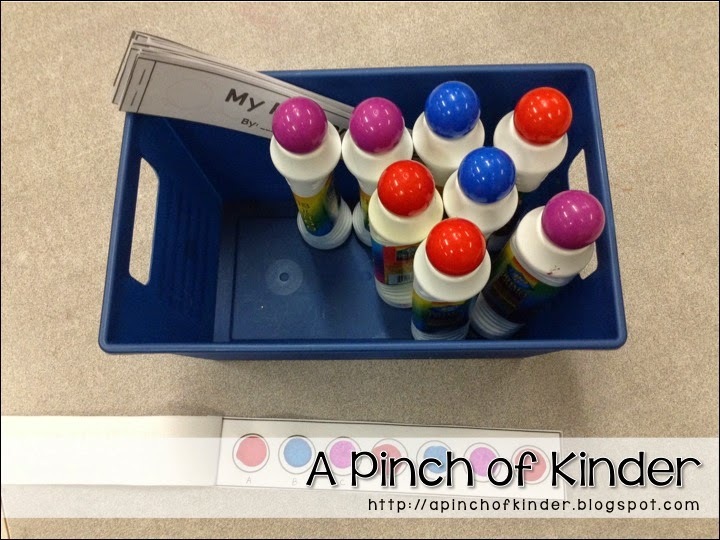 I hope that you find something useful that you can implement in your own classroom in this post! 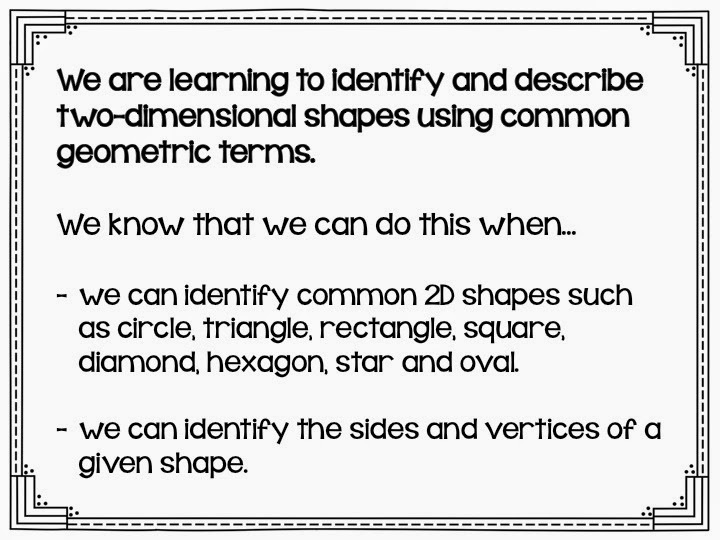 What is your favourite activity/centre for 2D shapes?